Welcome to the website of Saint Peter’s Church, Blaina and Holy Trinity & Saint Anne’s Nantyglo. We are, first and foremost, disciples of Jesus Christ; making our Christian Journey with God’s help and guidance. Too often Christians try to categorise each other and their theological positions in order that we may either reject them and pass on to those whose position is closest to ours, or so that we can feel secure in the company of people who speak the same language as ourselves. At St Peter’s and Holy Trinity & St Anne’s, while we are deeply interested in a Bible-based Christianity, we are also very aware that different Christians may have different interpretations of the Bible and different experiences of the Christian faith. This is why we are seeking to build communities of love, where differences can be celebrated and enjoyed and where we can serve each other within a loving atmosphere. The consequence of this is congregations who have varying experiences of other parts of God’s Vine, such as Baptists, Methodists, Congregationalists, Apostolics and so on; together with life time committed Anglicans as well as those new to the faith, without previous denominational affiliation. 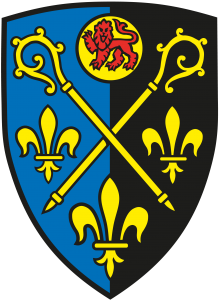 We are a group benefice in the Deanery of Pontypool, with two churches, serving the northern part of the Diocese of Monmouth, a diocese in the Province of the Church in Wales, which is part of the worldwide Anglican Communion.